As usual, I was given the liberty to decide on the color and flavor which made the whole process easier and faster. I went for vanilla chiffon cake as it is moist, light and airy. It's also easy to whip up so I knew I could have my cake ready in 20-25 minutes. That's more than enough time to make butter cream. The cake was for a female guest so I ditched the thought of making chocolate frosting. 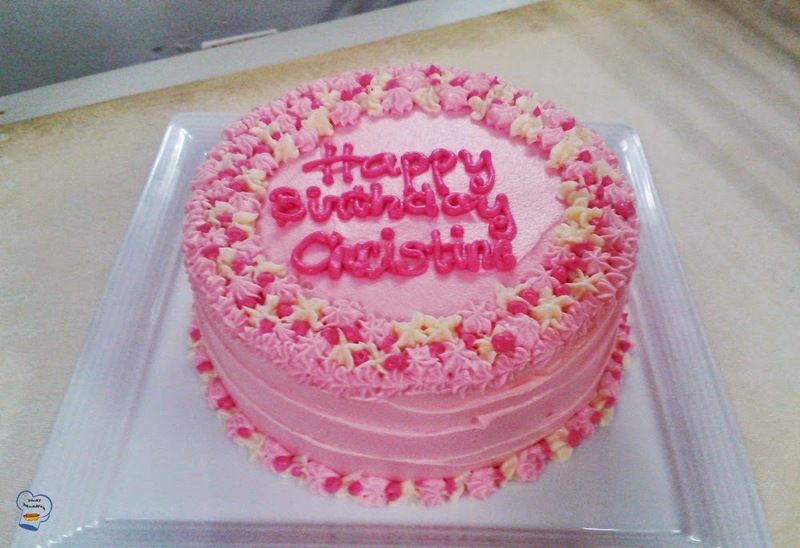 I wanted to make a girly cake. I could do that if I stick to my initial plan to make vanilla butter icing. 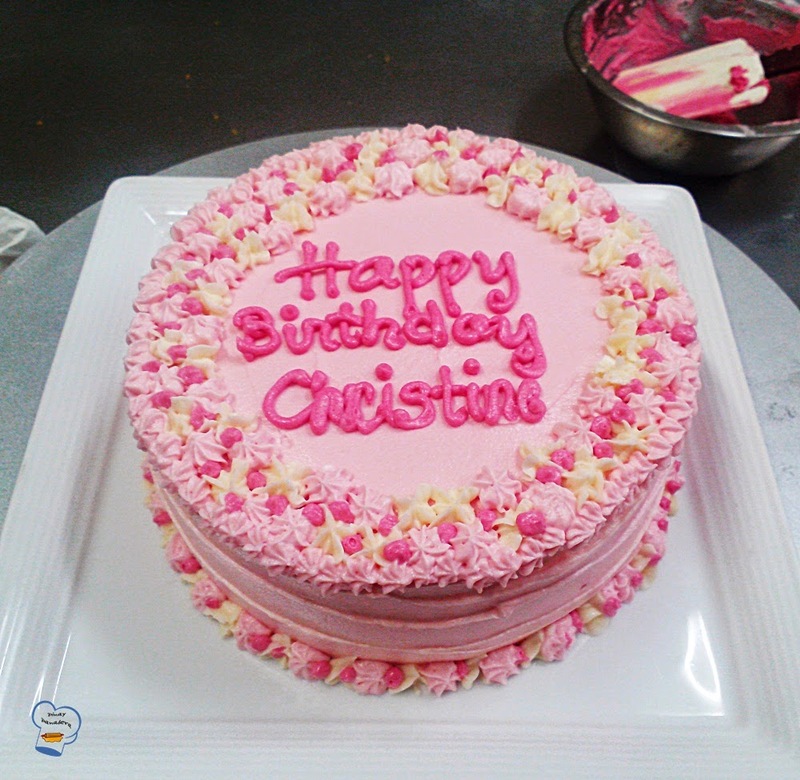 When I finished making the frosting, I took a small portion, set it aside and added pink to the rest. I was sure it would come in handy during decoration. I layered the cakes with the icing. I gave the crumb coat a few minutes to chill then applied the final coating. I used two small star piping tips for the decoration. 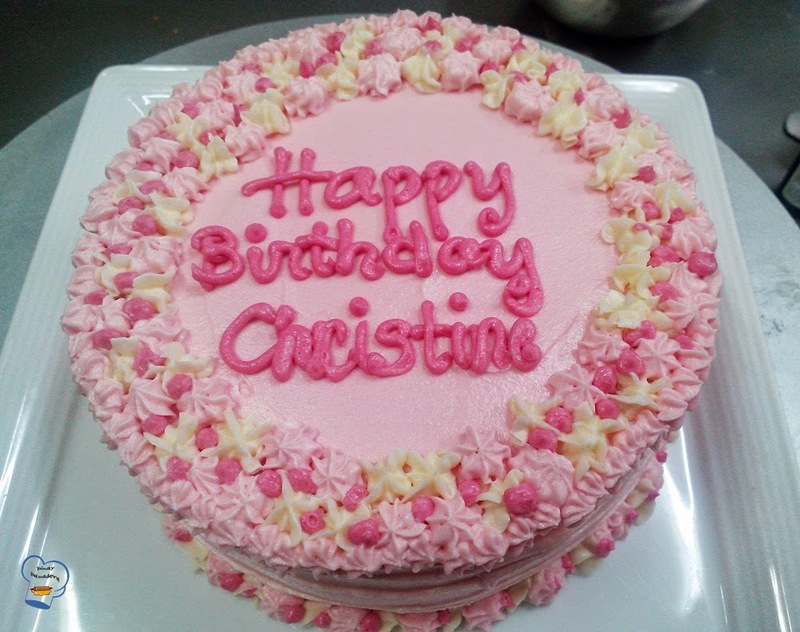 I piped the plain and pink butter icing around the edges and the base in random. Once done, I added more pink to the pink butter cream. When I saw the result, I thought it would look good against the light shade. Using a very small round tip, I piped the dark pink between the gaps to fill them. I was happy with how it turned out. It added a nice touch to the cake.